Book in a service and brighten up your home today. 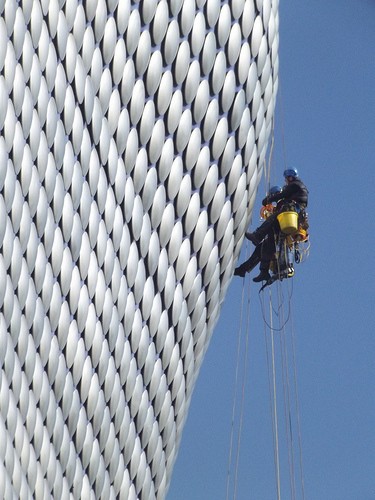 Our Window Cleaners are experienced, courteous and very respectful of your property. Register for our 6 monthly email reminder that it is time to do the windows. Lock in a regular schedule for our discounted service. Vertical Challenge offers a quality, friendly and competitively priced residential window cleaning service. Grime and bird dropping are very unsightly and detract from views, particularly if you are fortunate enough to have harbour or ocean views. Sparkling clean windows will have your home looking its brilliant best. Householders tend to neglect cleaning their windows, it is a big job usually dropped from your busy list of cleaning priorities. Dust and grime then build up almost unnoticed spoiling the lovely views and detracting from free available natural light. Once your glass has been professionally cleaned you will enjoy enhanced views, the overall clean effect and fresh feeling that sparkling clean glass brings to your home. Vertical Challenge has been cleaning Residential Windows since 1999. Call us today and have your glass professionally cleaned by our friendly experienced window cleaners. Free up your valuable time and allow you to do things that are more important to you. What’s more, we will also clean your window frames and ledges, to make sure they are free from debris. Cleaning windows on a ground floor may be safe, however, if you live in a 2 or 3 story house, you may put your own safety at risk by attempting to clean the windows yourself. 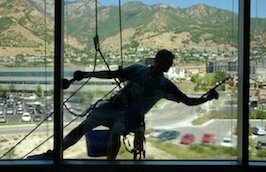 We use the Reach & Wash system that enables our window operative to remain on the ground while being able to clean up to a height of 65 feet. We clean all types of residential homes, from one bedroom flats through to large heritage listed houses on multiple floors, so whatever your residence we can help you. All our window operatives are timely, professional and courteous and will always arrange an initial inspection at your home and run through a risk assessment with you. This allows you to meet us first and you will obtain an accurate quote. We pride ourselves on our professional and reliable approach and welcome feedback at all times. And of course, if you are happy with our service, we welcome your referrals. All our polite and respectful employees have current Police Checks and Working With Children Clearances (we clean schools). Public Liability Insurance - $20 million.